Make sure your existing skills in security and risk management are not overlooked by potential employers. 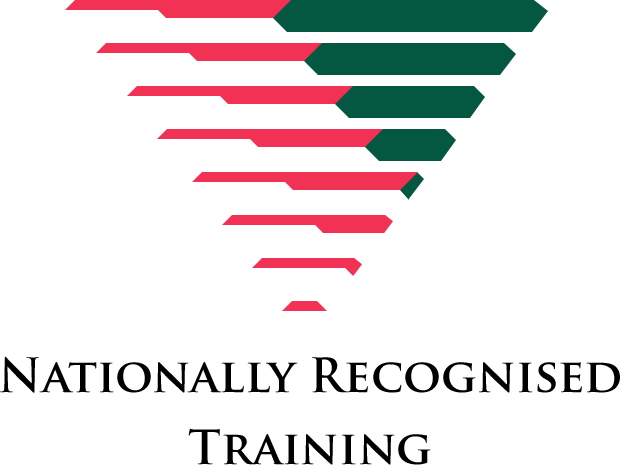 Convert to a nationally recognised qualification through RPL today. Is risk management and analysis of security risks a part of your current or previous daily routine? The CLET CPP40707 Certificate IV in Security and Risk Management is a great qualification to add to your resume to confirm your skills and knowledge in this area. For former police, military, corrective services, public and private security sector, and other relevant employees with a focus on risk management, the CPP40707 Certificate IV in Security and Risk Management is available for full RPL to recognise your experience. Or, perhaps you have some experience in the area, but there is more to learn. CLET offers partial RPL with study pathways which may suit you. Apply for RPL today and see what options are available for you to secure a CPP40707 Certificate IV in Security and Risk Management from CLET. This unit of competency specifies the outcomes required to manage the implementation of Occupational Health and Safety (OHS) policies and procedures to ensure compliance with legislative requirements relating to security operations. It requires an ability to disseminate and communicate current OHS information and facilitate consultative processes to ensure maximum vigilance and awareness of the range of risks and hazards common to a security work environment. It also requires an ability to manage the ongoing review and improvement of OHS policies and procedures. This unit of competency specifies the outcomes required to implement communication techniques and systems within a security context. It requires the ability to assess communication requirements and adapt techniques and systems accordingly. It also requires an ability to assess situations involving conflict and negotiation strategies for conflict resolution. This unit of competency specifies the outcomes required to determine a client's security requirements and security risk. It requires the ability to provide accurate security services recommendations and alternative options, analyse security risk, present advice in a suitable format, and monitor and evaluate client feedback. This unit may form part of the licensing requirements for persons providing advice, solutions or strategies to minimise security risks in those states and territories where these are regulated activities. This unit of competency specifies the outcomes required to supervise field staff during the conduct of security operations. It requires the ability to source and apply security information, organise equipment and resources, address operational problems, and evaluate operational effectiveness. This unit may form part of the licensing requirements for persons responsible for supervising security operations in those states and territories where these are regulated activities. This unit of competency specifies the outcomes required to lead and manage a briefing or debriefing. It requires the ability to source and integrate information into a suitable format, use effective interpersonal skills to encourage positive contributions, follow up and action findings and prepare documentation. This unit may form part of the licensing requirements for persons responsible for implementing briefing and debriefing processes in anticipation of and response to security risk incidents in those states and territories where these are regulated activities. This unit of competency specifies the outcomes required to determine effective security policies and controls. It requires the ability to identify key systems and assets, and the likelihood of threat against each asset. It also requires an ability to calculate the current risk for each asset. This unit may form part of the licensing requirements for persons engaged in risk assessment operations in those states and territories where these are regulated activities. This unit of competency specifies the outcomes required to assess current, future and potential threats to identified assets or activities. It requires the ability to undertake an assessment of client operations, identify and analyse potential or existing threats, undertake a consequence analysis and present assessment findings. This unit may form part of the licensing requirements for persons engaged in threat assessment operations in those states and territories where these are regulated activities. This unit of competency specifies the outcomes required to conduct a security assessment and market evaluation of assets. It requires the ability to research, analyse and present information and data, and evaluate security control measures. This unit may form part of the licensing requirements for persons engaged in security assessment operations in those states and territories where these are regulated activities. This unit describes the skills and knowledge required to advise, carry out and evaluate customer service strategies. It applies to individuals who have well developed skills and a broad knowledge of customer service strategies for addressing customer needs and problems, and who may provide guidance or delegate work related tasks to others. It applies to managers who have an active role in implementing the continuous improvement process to achieve the organisation's objectives. Their position is closely associated with the creation and delivery of products and services which means that they have an important role in influencing the ongoing development of the organisation. This unit of competency specifies the outcomes required to plan, document and coordinate resources to manage and review investigations. It requires the ability to develop a case management plan, monitor case progress, and review and report case outcomes against identified goals and objectives. This unit may form part of the licensing requirements for persons engaged in investigative operations in those states and territories where these are regulated activities. Q1. Do you have an interest in studying security and risk management processes, policies and practices? When studying this qualification you will learn how to establish effective workplace relationships, promote team effectiveness, develop work priorities, manage a safe workplace in the security industry, implement effective communication techniques, advise on security needs, facilitate workplace briefing and debriefing processes, monitor and review security operations, assess risks, assess threat, identify and assess security of assets, promote innovation in a team environment, implement continuous improvement, undertake case management of investigations and coordinate implementation of customer service strategies.